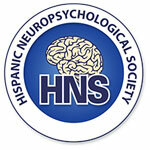 Please consider running for one of the soon-to-be-open positions on the Hispanic Neuropsychological Society Executive Committee: Member at Large, Secretary, and Student-Elect. The Member-at-Large and Secretary are two-year terms. The Student-Elect is a one-year term. Start date would be January 1, 2018. Below, see the extracted portion of the HNS bylaws for more information about these positions. The general HNS membership can make nominations. Self-nominations are also accepted. 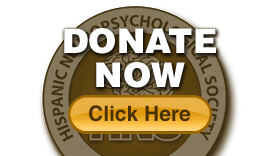 The ideal candidate will be committed to enhancing the field of cultural neuropsychology, via governance work. Our HNS Executive Committee meets twice per month by video conference. We are evolving as a professional guild. Our HNS brand grows almost daily, nationally and internationally. We would enjoy having passionate leaders join us. We welcome all levels of experience. The last day to submit your statement of interest is today, October the 30th. Include a brief biography and stated reasons for seeking office. Send the nominations and statements to David Lechuga, Ph.D ([mailcrypt]dlechuga@neuroclinic.com[mail]). Candidates will have an opportunity to campaign from October 16th to November 12th. Voting will start on November 15th and remain open until December 15th. Candidate materials will be available on the HNS website. The Officers shall be the President, President Elect, Immediate Past-President, Secretary, Treasurer, two Members-At-Large, Student Representative, and Student Representative-Elect. The duration of a term, including the President, will be a two-year period except for the President Elect and Immediate Past-President, which will be one-year terms. Except for the Treasurer, Secretary, and Members-At-Large, who may serve two consecutive terms holding their particular office, no officer may serve two consecutive terms. Except for the Secretary who may fulfill the duties of Treasurer, no person may hold more than one office at the same time. The President Elect will, unless otherwise decided by the Executive Committee and/or members, automatically subsume the position of President. Likewise, the President will take office as the Past-President once the two year term has completed. The Secretary may fulfill the duties of the Treasurer. When this is the case, the Executive Committee may invite another elected member serving in a supportive committee (e.g., Communications) to form part of the Executive Committee and thus serve as the deciding vote, during the time such vote is necessary. The Executive Committee will also invite the elected Student Representative at its discretion to their meetings, and such person will have voting power. The HNS shall be governed by the Executive Committee composed of the above mentioned elected officers (Section 1 of Article VI). The Committee will be responsible for representing the HNS to external persons and institutions and for conducting the business of the organization during the period of time between annual meetings. The Executive Committee will be jointly responsible to the membership for the conduct of the organization’s affairs, and will make an annual report to the membership during the annual business meeting. Members of the Society may nominate prospective officers for the Executive Committee during the annual business meeting or in writing so it can be discussed by members at the annual business meeting. Officers shall be elected by a majority vote from voting members of the Society who are present at the annual meeting or who have submitted their vote in writing by proxy. Officers will serve a term of two consecutive years. In the event that a particular Officer cannot complete his/her term, a Member of the Society will be appointed by the Executive Committee to fulfill the duties of the office for the remaining duration of that term. Except for the Secretary, Members-At-Large, and Treasurer, no individual may serve more than one consecutive term holding the same office on the Executive Committee. Individuals may hold the same office at a later time but the terms cannot be consecutive. All Officers must be members of the Society in good standing. Officers of the Association will conduct their assigned duties as outlined below. President: The President shall be the principal executive officer and, with the approval of the Executive Committee, shall in general supervise and control all the business and affairs of the society. The President shall, when present, preside at all meetings of the membership and of the Board of Directors. The President may sign, with the President-Elect, Secretary, Treasurer or any other appropriate officer of the society thereunto authorized by the Executive Committee, any deeds, mortgages, bonds, contracts or other instruments that the board of directors has authorized to be executed, except in cases where the signing and execution thereof shall be expressed and delegated by the Board Of Directors or by these bylaws to some other officer or agent of the Society, or shall be required by law to be otherwise signed or executed; and in other duties as may be prescribed by the Executive Committee from time to time. The President shall be a Member Ex-Officio of all committees and a voting member of the Board of Directors. President-Elect: The President-Elect shall assume all of the duties of the President in his/her temporary absence or disability. The President-Elect may also take the office of President In case the President cannot fulfill the duties of their office for the remaining term of office. In such case, a suitable replacement for the position of President-Elect will be elected by the Executive Committee by majority vote. The President-Elect shall be a voting member of the Board of Directors. Treasurer: The Treasurer shall be responsible for the funds of the Society. He/she shall maintain accurate account of these funds and accurate records of any financial transactions and status of the Society. Financial status and record of any and all financial transactions shall be made available to the Executive Committee at any time and shall be reported to the Members of the Society at large during the official annual business meeting of the Society. Financial status and recorded transactions shall also be made available within a reasonable amount of time to any Member of the Society who makes such request in writing to the Executive Committee. The Treasurer shall be a voting member of the Board of Directors. Secretary: The Secretary shall keep record of all proceedings of meetings of the Society and of the Executive Committee. He/she shall provide summaries of all meetings official meetings of the Society. Summaries shall be presented to the Executive Committee and to any Member of the Society who requests such summary. The Secretary is also responsible for safe keeping or cause to be kept all documents and papers which come to his/her possession as may be necessary. The Secretary may also perform the duties of the Treasurer. The Secretary shall be a voting member of the Board of Directors. Past-President: The Past-President will be present at the meetings of the Executive Committee and will provide support to the newly elected members of the Executive Committee. The Past-President shall be the person who served as President during the most recent election term and will be a voting member of the Board of Directors. Members-at-Large: The Members-at-Large will be present at the meetings of the Executive Committee. They will assist in the general operation of the Society and its business and affairs with duties including, but not limited to, the coordination and execution of the activities of Committees. The Members-at-Large shall be voting members of the Board of Directors. Student Representative: The Student Representative (SR) will be present at the meetings of the Executive Committee. The SR is responsible for the operation of the HNS Student Association, which supports the mission and goals of HNS for trainees. The SR is a voting member of the Board of Directors. Student Representative-Elect: The Student Representative-Elect (SRE) will be present at the meetings of the Executive Committee. 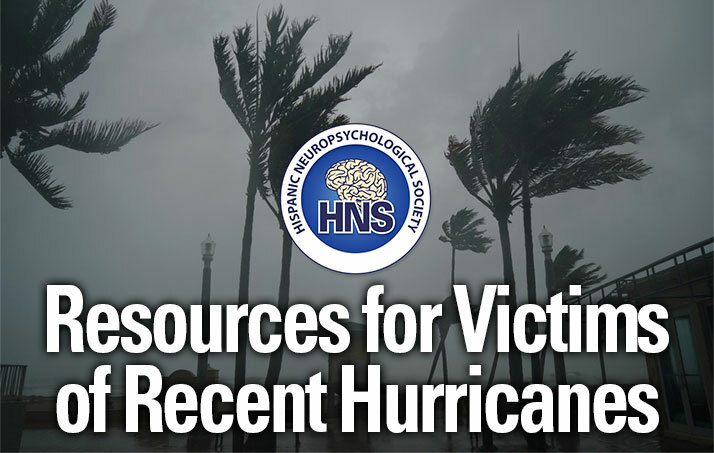 The SRE will support the mission of the HNS Student Association and assist the SR. The SRE is a voting member of the Board of Directors, and contributes student perspective and opinion. Officers of the Executive Committee shall receive NO compensation from HNS for their services, including honorariums. This provision shall not, however, prevent an officer to be reimbursed for reasonable costs and expenses incurred in connection with performance of his/her duties as Officer, as approved in advanced by the Executive Committee. The Secretary/Treasurer will be allowed to hire clerical assistance as deemed necessary by him or her for the effective execution of the business of the Society. Any hiring of clerical assistance will require approval by majority vote from the Executive Committee. No Officer of the association shall deal with him/herself or any other Officer in a manner which represents a conflict or potential conflict with the interests of the association. Officers may recuse themselves from voting or any discussions that may cause a potential conflict of interest. Members of the Executive Committee may resign their duties at any time during the duration of their term. Executive Committee members may be asked for their resignation by another Committee Officer at any time if there is just cause to suspect the violation of any of the conditions stipulated under Section 5 of Article III (Membership) or when their actions have been clearly harmful to the interests of the Society. The official removal of any individual from the Executive Committee will require two-thirds majority vote from members of the Society that are present at the annual meeting or two thirds majority mail system vote (via email or postal service).